The purpose of Man UP is to empower men to become the leaders God created them to be. Today like never before the role, responsibility and purpose of men has come under great attack. The positive or negative impact men have on the family and community can be the difference between a secure and confidant generation and a rejected and insecure generation. A “fathered” generation or another “fatherless” generation. As God is our Father, men become spiritual fathers that raise up, empower and position the future generations of this world. We believe that spiritual father’s will arise and this will be the answer too many of the problems in society and within the family unit. Helping Men to “look up” and see that God has a plan for their lives and desires to help them become the men and fathers they themselves may not of had. Encouraging and challenging men to “get up” and not “give up” and keep fighting the good fight in their own personal lives and for the lives of their families and community. 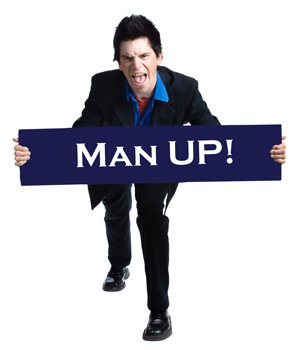 Encouraging men to get alongside other men, just like the Australian football rule term where players “man up”. However for the purpose of being accountable and talking through and helping each other to keep focused on the game and winning the race of our lives and destinies. We believe that men are arising and will see God empower them into their purposes for this hour and for such a time as this! Can’t wait to see you at Man UP!